All the French Demo Teams and many foreign fighter jets will perform over the BA113. 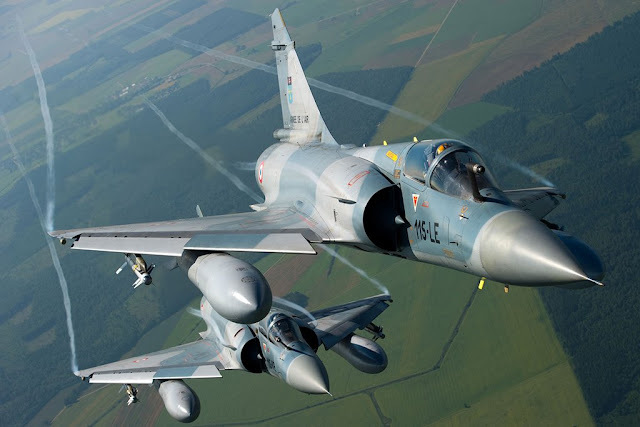 The second largest French Airshow of the year will take place at Base Aérienne 113 (BA113) in Saint-Dizier on July 1-2.
the Couteau Delta Mirage Tactical Display composed by two Mirage 2000Ds and the reborn Alphajet Solo Display. Of course the Patrouille de France will be there! Four spotter days will be organized, the places planned for Friday (June 30), Saturday (July 1) and Monday (July 3) are now booked, but you can still continue to register for Sunday (July 2) here. Book your ticket for the show here.